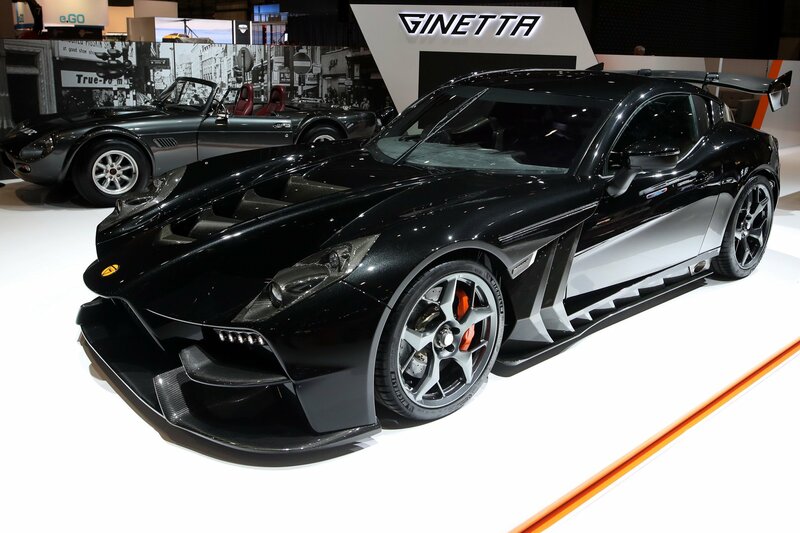 Car manufacturer Ginetta has used the ongoing Geneva Motor Show as an opportunity to unveil its new two-door supercar called Akula. The company plans to start shipping in January 2020. The Akula features a custom, in-house-designed engine, essentially a 6.0-liter naturally aspirated V8 equipped with a dry sump system. Its reported output amounts to 610 hp (455 kW) and 705 Nm (520 lbft) of torque right now, but the manufacturer is looking into producing a 1,000-hp / 750-kW version. The engine is located directly under the cabin, with its rear wall almost touching the center console. The power unit links to a purpose-built six-speed sequential transmission that you can control using a paddle shifter. Other notable features include Alcon carbon-ceramic brakes, Michelin Pilot Sport 4 tires, climate control, parking assist, backup camera, navigation software, and electronic parking brake. The exterior of the car looks rather aggressive with numerous aerodynamic parts, air intakes and vents throughout the body. Wrapping up the unique appearance are front fenders with huge louvers in them, exhaust pipes running down both sides, and a custom wheel set. The Ginetta Akula sports all-carbon body and chassis, and measures 4,640 mm (15.22 ft.) long and 1,900 mm (6.25 ft.) wide with 2,600 mm (8.53 ft.) between the axles. The manufacturer is yet to provide any kind of acceleration data, but given its extremely low weight (1,150 kg / 2,535 lb. ), the car should sprint on par with some of the fastest supercars out there.